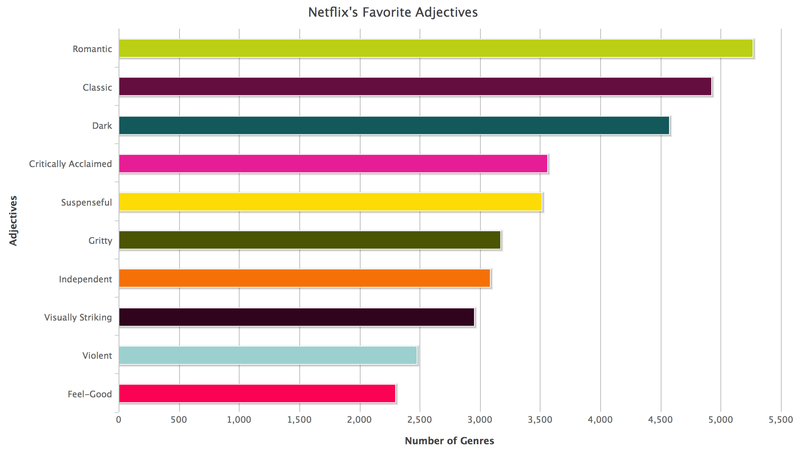 Madrigal goes on to talk about the procedure Netflix uses to create genres and use them in recommending shows. 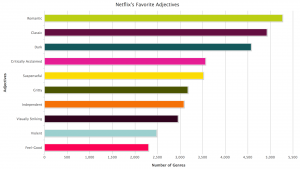 It turns out to be a combination of content analysis (actual humans watching a movie/show and ranking it in various ways) and automatic methods that combine tags. This combination of human and machine methods is also the process Madrigal describes for his own pursuit of Netflix genres. It is another sense of humanities computing – those procedures that involve both human and algorithmic interventions. The post ends with an anomaly that illustrates the hybridity of procedure. It turns out the most named actor is Raymond Burr of Perry Mason. Netflix has a larger number of altgenres with Raymond Burr than anyone else. Why would he rank so high in micro-genres? Madrigal tries a theory as to why this is that is refuted by the VP Yellin, but Yellin can’t explain the anomaly either. As Madrigal points out, in Perry Mason shows the mystery is always resolved by the end, but in the case of the mystery of Raymond Burr in genre, there is no revealing bit of evidence that helps us understand how he rose in the ranks. On the other hand, no one — not even Yellin — is quite sure why there are so many altgenres that feature Raymond Burr and Barbara Hale. It’s inexplicable with human logic. It’s just something that happened. Now, reality gets coded into data for the machines, and then decoded back into descriptions for humans. Along the way, humans ability to understand what’s happening gets thinned out. When we go looking for answers and causes, we rarely find that aha! evidence or have the Perry Mason moment. Because it all doesn’t actually make sense.